Let it burn! This Star Wars: Episode VII - The Force Awakens Phasma and Flametroopers 16 oz. 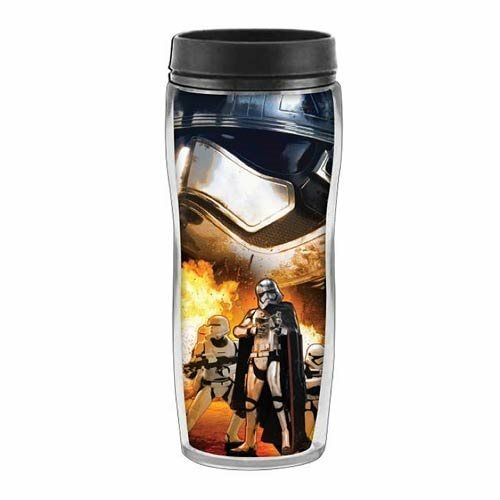 Curved Plastic Travel Mug features an awesome image of Flametroopers lighting it up, along with Captain Phasma looking pretty serious. Holds up to 16 ounces of liquid. Hand wash only. Not dishwasher safe. Do not microwave. Measures approximately 8 1/2-inches tall. Ages 14 and up.